What’s our favorite part about cooking? Well, when we develop a recipe, we want you to have the creative freedom to make it your own. If there’s too much butter or oil for your taste, why not substitute with applesauce? If a recipe calls for diced jalapeños and you don’t like it spicy, simply cross ’em off the list! Our recipes are just a starting point, and they don’t have to be literally interpreted. 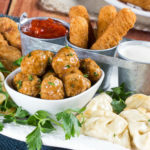 We just love hearing your tweaks and spins on all of our recipes on MrFood.com! What a great source of recipe variations. Do you ever check the comments yourself? We love to hear when someone’s added a new ingredient for a different spin, or discovered a “lighter” version of a familiar favorite. Take Lasagna Rollups, for example. In case you want to lighten it up, we offer tips on how you can do that using reduced-fat substitutions. But we also noticed that many of our readers have their own spins on this recipe, too! It doesn’t stop there! Check out the rest of the comments on this recipe and see what everyone had to say. Have you put your own spin on any of our recipes? We’d love to hear from you! Leave a comment and let us know. Oh! 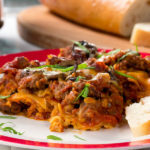 And if you love our Lasagna Rollups, be sure to check out our collection of 19 Easy Lasagna Recipes for all of our favorite variations on lasagna.